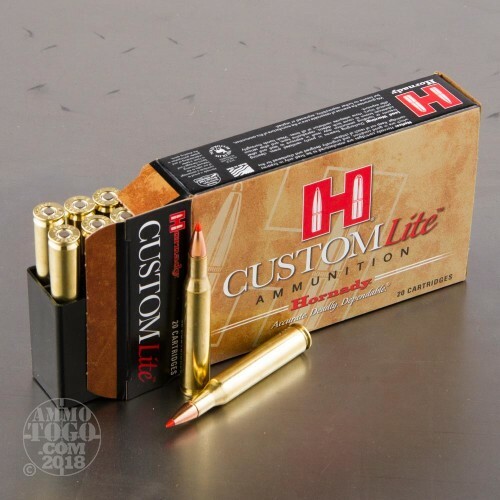 Hornady’s Custom Lite line of ammunition subjects its shooter to noticeably less recoil than a comparable round would, making it a fine selection for children, hunters with lighter frames, or anyone who’d rather spare their shoulder from as much grief as possible. This 270 Win round still delivers effective terminal performance with its 2,675 fps muzzle velocity -- it’s just far more comfortable to enjoy. 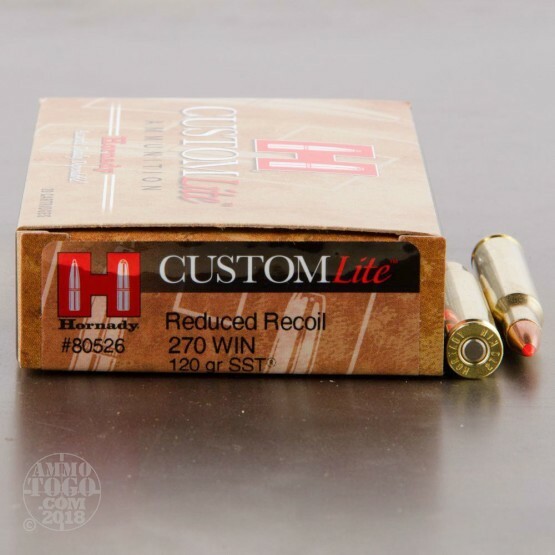 This round is capped off with a 120 grain SST projectile. 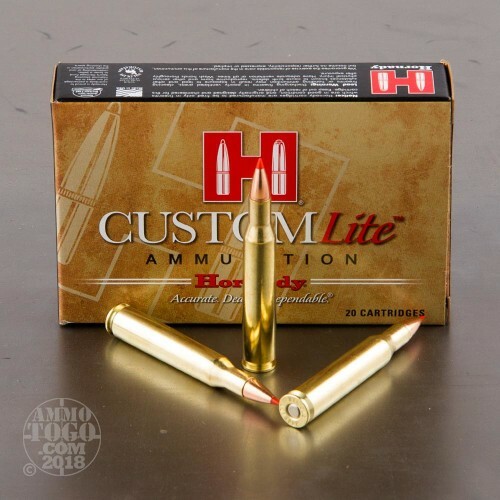 The bullet’s polymer tip serves to initiate lightning fast expansion on impact, and its cannelure and InterLock ring keep its core and jacket together to ensure great weight retention as it mushrooms outward. 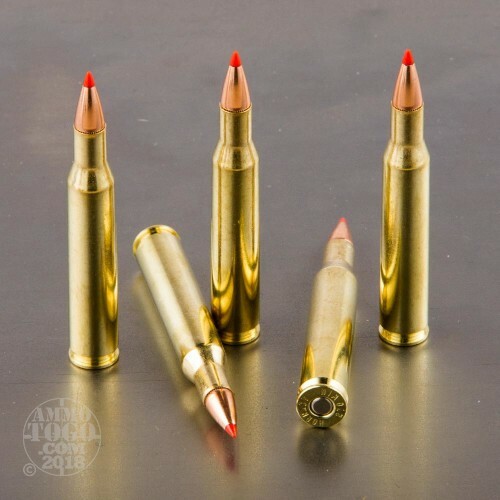 An SST is a very accurate bullet as well, which it owes to its pointed and symmetrical tip, streamlined secant ogive profile, and boat tail base that substantially increases its ballistic coefficient. This bullet’s flat trajectory makes it able to accurately traverse long distances, although its ability to expand is exceptionally pronounced at close range.